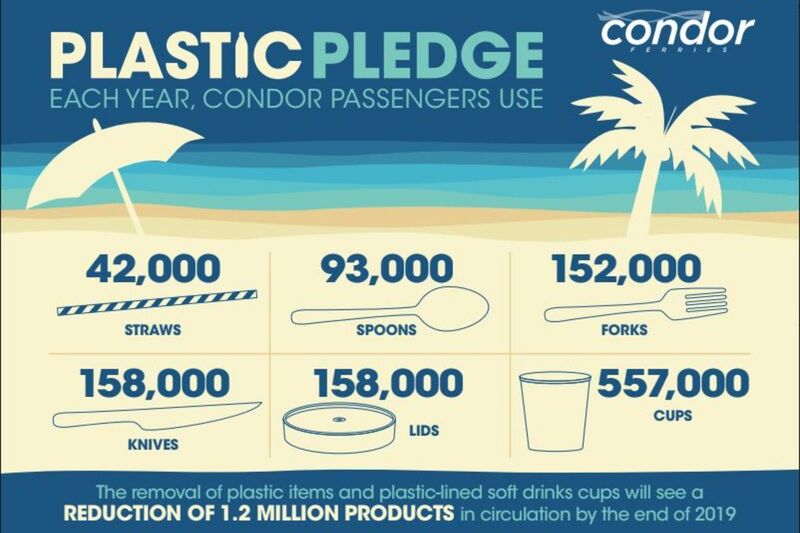 Condor says it will cut single use plastics on its ships by 1.2 million items this year. It's using vegetable-based cutlery and coffee cups on the Liberation, Rapide and Clipper. It's also testing biodegradable water bottles and seaweed packaging. 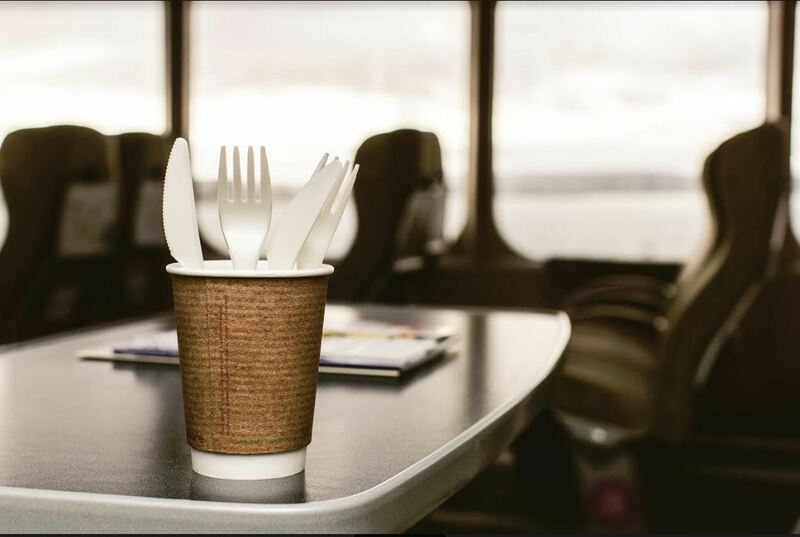 Last year passengers used more than half a million cups and 403,000 forks, knives and spoons. Condor CEO Paul Luxon says the company want to reduce the use of plastics by three quarters over the next three years. "We fully recognise we have a role to play so our aim is to lessen plastic in circulation by 75% by 2021. Like most other businesses, we accept there is a way to go to achieve this, but we are making progress in evaluating and testing new items for introduction such as biodegradable water bottles and seaweed packaging, all of which are zero-waste." "Our passengers too are very aware of environmental issues and I am sure they will welcome the changes we have already made and those in the pipeline." Recycling points are to be installed on board Condor ships and five ports. The company is to also sign up to two Channel Islands’ initiatives – Plastic Free Jersey and the Keep Guernsey Green Award.